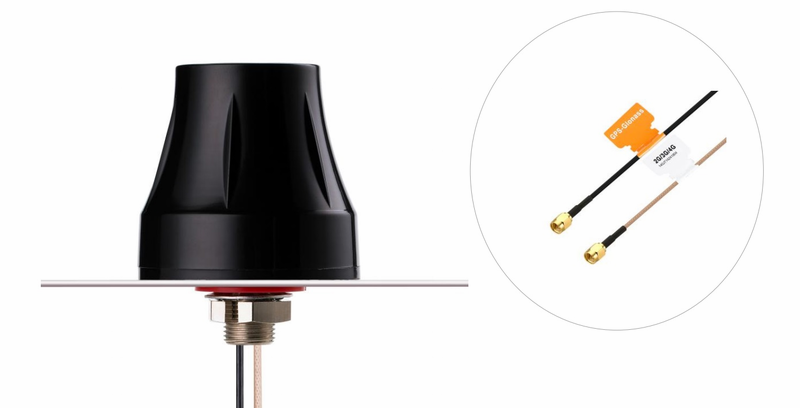 The Olympian MA140 is a high performance combination LTE and GPS/GLONASS/GALILEO screw mount antenna in a compact housing, for external use on vehicles and outdoor assets worldwide. The LTE antenna functions equally well on 2G and 3G. The GPS/GLONASS/GALILEO antenna has stable gain and radiation patterns on both bands. The antenna can be mounted on metal and plastic structures. Customized cable length and connectors are available.